At a concert in Lincoln Nebraska on 14 July 2014, Paul McCartney led the croud in a “HUSKER POWER” Chant!!! Check it out at http://www.youtube.com/watch?v=6bWZbTUtMV4. 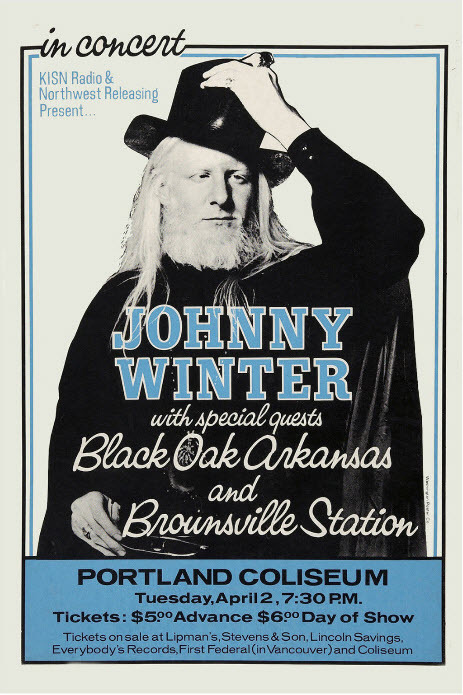 The Day The Music Died: Johnny Winters Dead @ 70! For details, check out http://www.ussmullinnix.org/TheDayTheMusicDied.html. Long term, probably not. Nebraska didn’t play well enough to deserve to win. It took a ‘hail mary’ to beat a team that now has lost 5 in a row. 1. The Pelini story is beginning to remind me of the Buddy Ryan story in the NFL. Great Defensive Coordinator but not head coach material. Reading the Nebraska blogs, I’m seeing discussions that remind me of the last few Frank Solich years. Recruiting, recruiting, recruiting baby!!! If all these freshman and red-shirt freshmans are the best kids on the team, what does that say about Pelini’s last 3 or 4 recruiting classes? 2. Since when is Nebraska the training ground for coordinators to learn their job? This use to be a school you got to ONLY AFTER you proved your worth from several other schools including BIG NAME schools. 3. What happened to the offense? Now I worry about both sides of the ball going forward. Four quarters of solid football play on both sides of the ball doesn’t seem possible the rest of the year. 4. What’s the story on Kenny Bell? 5. After Tommy Armstrong’s freshman performance, you got to start him next week regardless of Taylor’s health. Don’t you? If you don’t you may ruin his self confidence for good. 6. We need a guy that bleeds scarlet and cream. We need a Nebraska-grown guy. Scott Frost says he’s not interested. RIght. The money Nebraska is making in the BIg 10? You pay Frost a couple million and see how fast he boards a plane for Lincoln. Would you like to average 50 points a game like Oregon while our defense matures? Would you like to win like Frost did in 1997? The attitude. Remember the boos he got early that year? Remember those tough killer touchdown runs against Washington? He showed us all what he was made of. Remember his speech after the Tennesse win in the bowl game? WOW! 7. Sad to see all the injurys on both teams. I hope and pray they all come back. 8. A big thanks to T Magic for 4 solid years. You learned to pass but forgot how to run. It wasn’t your fault, it was the coaching staff. Nebraska needs to look to the future and continue to let Armstrong start. 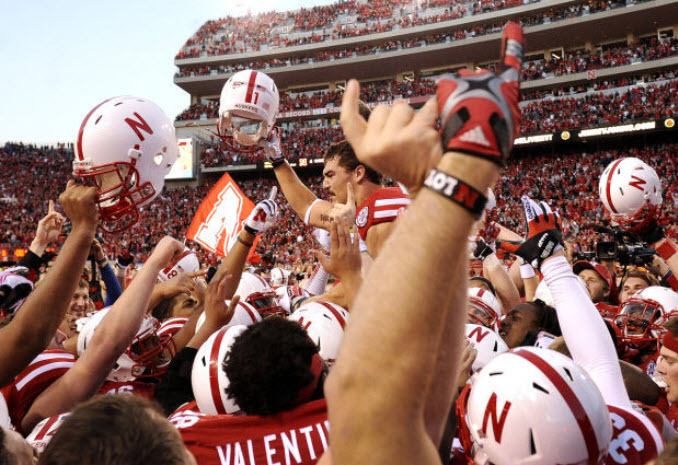 I’m of the opinion that this will be yet another year that will dissapoint most of us diehard Nebrasksa fans. As we all know, the ‘program’ is bigger than any individual coach or player. Listen to the local Nebraska Radio Announcers as they make the call on the last play of the game – a ‘hail mary’ pass into the endzone to win the game: http://www.huskermax.com/games/2013/vid/08/08westerkampTD.html#audio. Reminds Husker fans of the Missouri Game in 1997. The 97 Huskers went on to win the National Championship that year. This year’s Huskers won’t play for a national championship but this very well could have saved their season. …you woke up and only had what you thanked God for today? 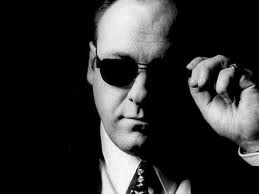 Gandolfini is believed to have suffered a heart attack. He was 51. He was in Italy to attend the 59th Taormina Film Festival in Sicily. He won 3 Emmy awards for the role of Soprano during the show’s 6 season run.